A partnership between Bangladeshi state-owned Telephone Shilpa Sangstha Ltd (TSS) and a private company named OK Mobile BD Inc USA will facilitate the launch of the first ever smartphone manufactured on Bangladeshi soil. Khondoker Jamil Uddin, chairman of OK Mobile stated that the partnered companies plan to initially launch two low-end handsets priced at Tk/- 1,200 ($15.47) and Tk/- 4,000 ($51.58) with the aim to launch three further models soon after. Operations right now are on a limited scale as all necessary assembly equipment are expected to be set up by the month of December. The Chairman added that the local assembly process shall commence soon however as of the moment, the devices are being shipped from China with the local company’s directed specifications. A senior executive of OK Mobile said that two Chinese specialists worked on the project as well to help make it successful. The President of OK Mobile Global – Md Jasimul Haque announced that the handsets will be marketed under the “OK Mobile” name. 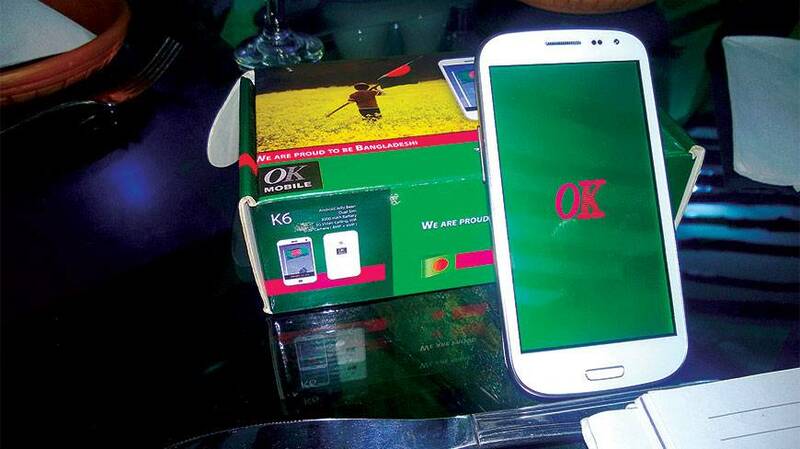 Initially, OK Mobile will sell the handsets at 13 locations of the capital city Dhaka with plans to expand soon. The company has future plans to release high end smartphones priced between TK/- 25,000 ($322.39) and Tk/- 30,000 ($386.86) along with phones priced in the mid-range as well. The President also added that all handsets will have dual SIM support along with cameras that range from 2-megapixels to 12-megapixels. The company is not expecting to make profit before the two-year time stamp. By then, they expect to have 10-12% of the Bangladeshi market share with plans to export devices to African and Latin American countries. The President mentioned that the key technology to their smartphones had been purchased from a Chinese company but declined to provide any further details.